Chevy’s 4GLTE continues Chevrolet’s streak for including useful tech in their vehicles. Many remember when Chevy shocked the industry by making OnStar technology/service standard in all of their vehicles. The auto maker will continue to include this capability in its vehicles, but this year’s consumer electronics show (CES) included some blockbuster news: Chevrolet has teamed up with OnStar and Verizon Wireless to include 4G LTE connectivity in its 2015 vehicle lineup. This includes vehicles of all classes, including the top-selling Spark, Corvette and Chevy Silverado. That is right. Soon, your Chevy vehicle will be smarter than your smartphone. But what does that mean for you? To help you understand this, we are going to give you a preview of some of the capabilities provided by 4G LTE connectivity in your 2015 Chevy. You would love to take your computer or other Wi-Fi capable device along with you, but you can’t do much with it without an internet signal. With next year’s Chevy LTE technology, you can connect to the internet safely and consistently no matter where you are. Just because you can use your Wi-Fi capable device with your LTE capable Chevy vehicle does not mean that you will have to. Chevy has promised to include an on-board computer system that will allow you to download and use countless apps. This includes classic games like Angry Birds and more utilitarian apps as well. Among the many apps expected to be available for your 2015 LTE connected Chevy vehicle, Skype is one of them. This means that you will not only be able to have phone calls via Bluetooth as with most vehicles, but you will also be able to hold video conferences. You can also enjoy full-length movies with an LTE connected Chevy vehicle. Netflix is on the forefront of the services you can use to do this, but you can also browse the web for other options. Music streaming won’t be a problem either, so you don’t have to worry about draining your phone’s battery to hear your favorite tunes. In addition to having all of the above capabilities with your LTE capable Chevy vehicle, all of your vehicle’s passengers will be able to have a unique experience with them. This is thanks to Chevy’s content zone system, which allows passengers to control their own entertainment via screens mounted on the headrests of 2015 LTE capable Chevy vehicles. This means no more disputes over what to watch! Forget to set the alarm? Need to turn on the porch light? Want to open the garage door before you get home? With a 4G LTE capable Chevy vehicle, you will be able to. This is because OnStar has used its Smart Grid technology to create an at home control system that you can operate with your 2015 Chevy vehicle. As we mentioned earlier, OnStar has played a big part in the development of LTE technology in Chevy vehicles. As such, you can expect all of the same great OnStar services – automatic crash response, stolen vehicle assistance, roadside assistance, ect. – to be seamlessly integrated into the 4G system of 2015 Chevy vehicles. 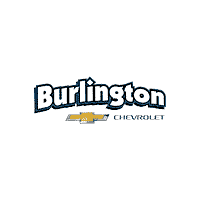 For more updates about LTE connectivity in Chevy vehicles or other information about Chevrolet vehicles, contact Burlington Chevy. They are a top Chevy dealer in south Jersey. They can be reached via phone at 866-691-8915, via their website or right at the dealership, which is located conveniently on Route 130, just around the corner from Burlington City High School in Burlington, NJ.